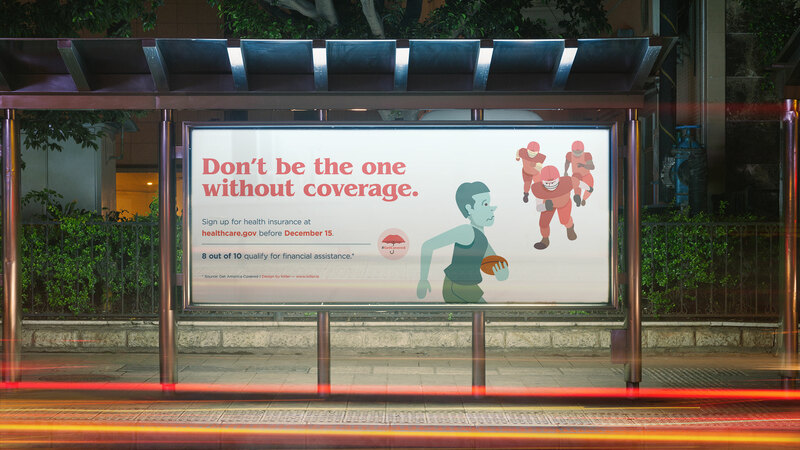 LA-based design agency Kilter has created free artwork for public use that promotes open enrollment at healthcare.gov. “When the Trump administration announced it was cutting the outreach budget for healthcare enrollment by 90%, we felt a need to act,” says Stephanie Chan, Co-Founder of Kilter. 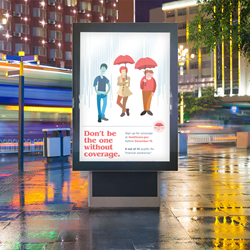 The cuts to the Healthcare.gov advertising budget could mean a loss of 1.1 million enrollees this year according to Josh Peck, who served as Healthcare.gov’s chief marketing officer under Obama. 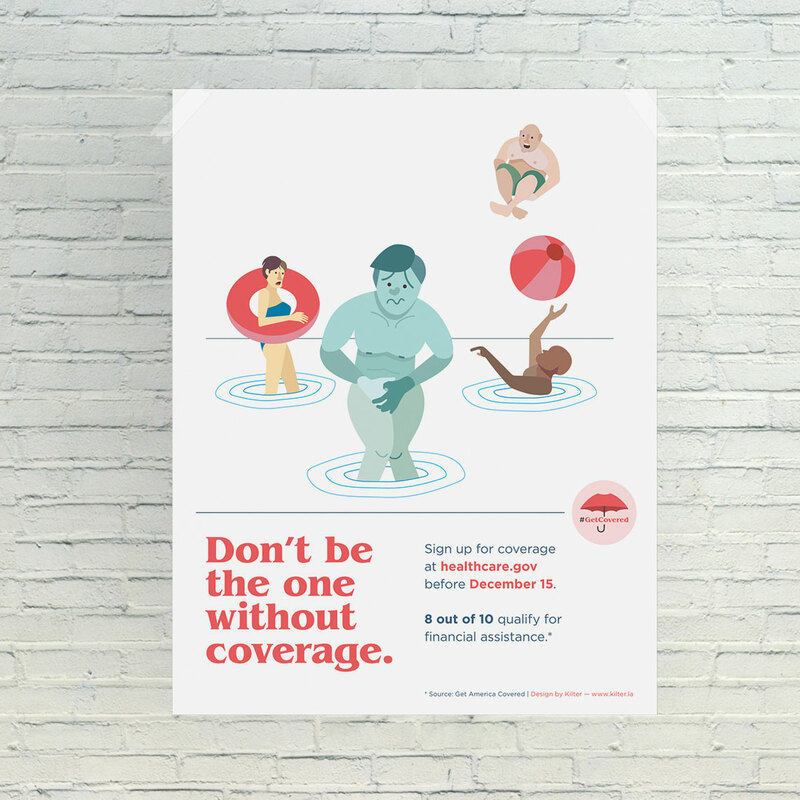 The artwork will be available to download at http://www.kilter.la/getcovered until the enrollment period ends on December 15th.